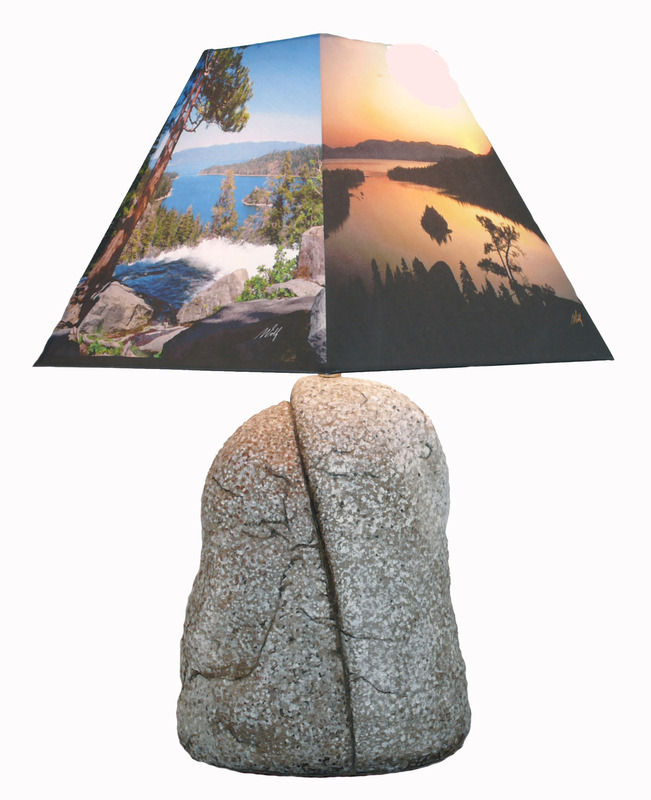 Craving a “boulder” adventure in home decor? Our rocks look and feel incredibly real, but won’t fall through the floor. Surface features include color lichen, crevaces, and quartz veins. Each piece is individually hand created. No two are ever alike. The secret? Every boulder starts with a wood and styrofoam core. We then hand apply our own recipe of concrete and paint in a spectrum of colors naturally occuring in Sierra Granite. Almost any shape, size, or style can be acheived. Contact us now with your boulder idea. On the deck or in the cabin, anywhere is perfect for your mountain memory furniture piece. 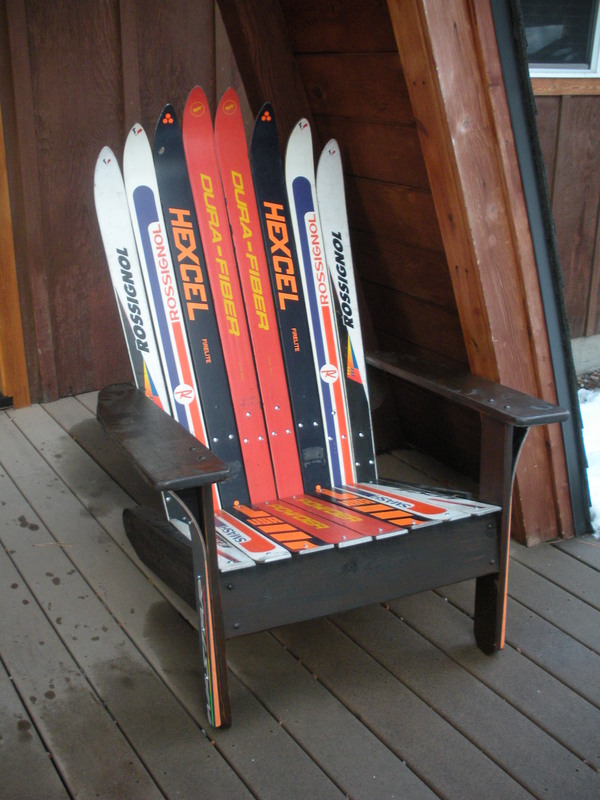 This functional art form uses recycled skis and snowboards.What better way to add new life to your used equipment? No skis of your own? We can provide recycled boards from our inventory. Due to the reclaimed nature of this equipment, all pieces are wonderfully unique so patterns and colors will vary. Contact us now with your custom ski idea!